This article by Deanna Elaine Piowaty talks about Christina Sealey's painting, her inspiration and the way her visual and audio work influence each other. Efehan Elbi is a graduate of OCAD U’s Integrated Media program. He’s an artist and award-winning animator. We caught up with him to chat about his work. 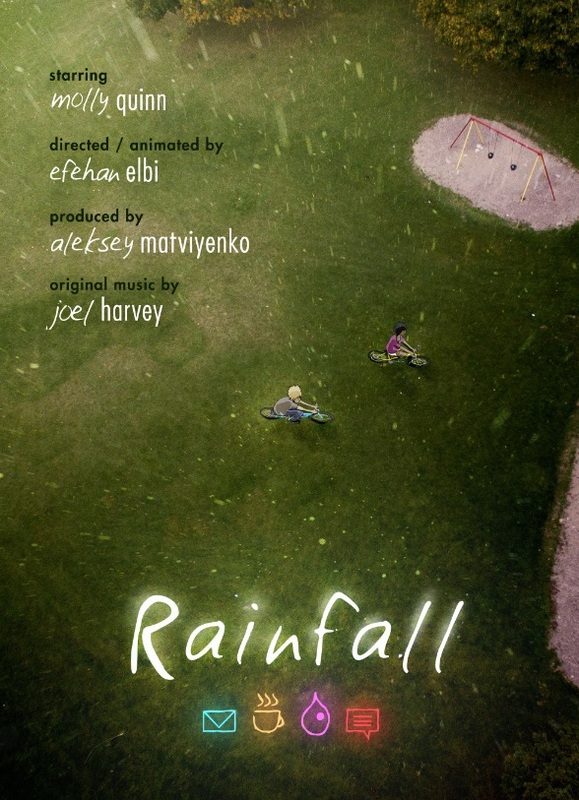 Congrats again on winning Best Animation at the Beverly Hills Film Festival for Rainfall last fall! What have you been up to since then? Thank you! That was an unexpected joy. Ever since then it’s been about spreading the word and keeping the festival submissions going. The star of Rainfall, Jessica, is one of my main characters, so I’ve (actually, she has) been sorting out where her story goes next. I tabled at TCAF this year, which is always wonderful, and with our collective Family Contact (my constant collaborators Zak Tatham and Aaron Manczyk, both also OCAD U alums) we screened a ridiculous sci fi-romp feature called Space Breakers at the WTFilm Fest. I’m a little too interdisciplinary sometimes, so there’s also been poetry, writing and music. And of course day work with Sinking Ship, animating for a CBC show called Bookaboo! Why do you love animation? What’s it like when something you’ve been working on comes to life? Animating is so weird, crafting motions for weeks and months (in the case of Rainfall, years). When it finally comes together, and actually tells a story running at full speed — ideally on a theatre screen so I can strictly no longer tinker and edit (because it really is hard to let go) — it is the most amazing thing . I think animation is a very unique medium. 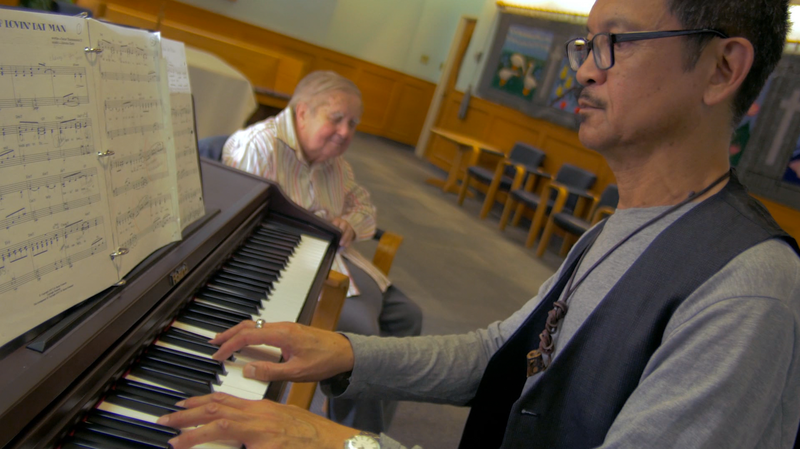 It gives us a chance to tell a visual story filtered entirely through the lens of the artist. There are so many ways to approach any idea or action, so many technologies (or lack thereof) and all of them are changing and shifting year by year. I think I most love that animation can convey life experiences and stories without the burden of physical specificity. How do you get your work out there? What’s your best advice for young animators just starting out? I would say: finish it. Finish the thing. Whatever it is, however long, even if it is just a super-rad gif that you’re posting on tumblr, FINISH IT. Because of the minutiae, it’s so easy to get lost in tweaks and the creeping feeling that the work isn’t good enough (the Internet is bad for this). It’s great, call it done. And if it isn’t, finish it, listen to the criticism as best you can, and make another one. This is one of the best things I learned at OCAD U. Also, love the people around you who make you persevere. It’s hard to keep creating regularly. The people who do are precious beyond measure, because we keep each other going. Even if you work in the industry and create every day, I truly feel that the passion projects are what glow in the end. For getting the work out, don’t be afraid to share and forward your work to everyone! The Internet is great for this. Get your animations and demo reels online. My own biggest challenge is trying to promote while also staying creative, because I find the two are such wildly different ways of being. What's it like to be an international student at OCAD U? 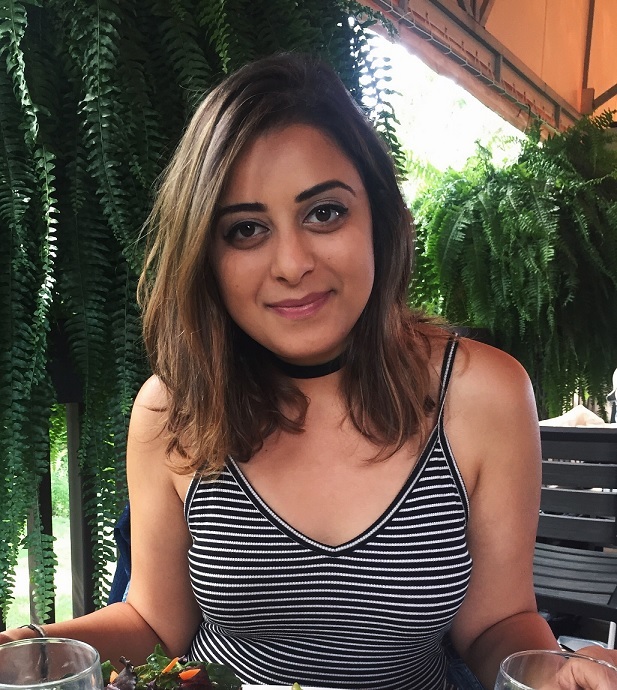 We talked to Integrated Media student Sandra Ibrahim. What’s your story? Did you study design before coming to OCAD University? I am originally Egyptian but grew up in Bahrain, where I lived until I was 18. I have always been interested in media and art/design in general — specifically, digital art and design — but I had never studied art properly. I went to a very small French school where art was not taken seriously, and when I moved to a British school I tried taking art. However, because it was all focused on drawing and painting, I ended up dropping it and stuck with information and communication technology, where I was introduced to simple graphic animation and Photoshop. Why did you choose to move to Canada to attend OCAD U? The decision to move to Canada initially came about because I have a lot of family here. Through research, we ended up finding great universities for both my sister and me to go to, where we could study exactly what we wanted. If I had stayed in Bahrain, my choices would have been a lot more limited, and moving to Egypt was out of question due to the political issues. The biggest challenge was being so far away from where I grew up and where my parents still lived. Also, moving from Bahrain, an extremely small desert island in the Middle East, to such a big city in the West was overwhelming at first, and I had to deal a lot with homesickness because it’s pretty much impossible to travel back and forth very often.. The best part has been this whole new experience: getting to finally study what I love at university, a new city, new people and even more diversity than there is in Bahrain. There are so many things to explore in Toronto, but the most fascinating thing to me, even today, is the nature in Canada. Experiencing the change of seasons every year is always my favourite thing. Also Tim Hortons. God bless you, double double! I would just say, do your best not to feel intimidated by change. Embrace it and make the most of it. No matter how difficult it feels in that moment, eventually you WILL adjust to it all and you might even be more knowledgeable than the people who have spent their entire lives in this country. I definitely know a lot more about Toronto than my cousins who were born and raised here. Second, and most important, do not compare yourself to other artists around you, especially during first year. No matter what you do, your style, skills and ideas will never be the same. No one is better than another as an artist. One person might be more skilled than you at a certain thing, but that will never make them a better artist as a whole than you are. Everyone is different and unique with their own work, which is what makes OCAD U great! Finally, ask questions! Ask for help! There is no shame in that. The more certain you are about something, the better you will do, the more easily you will adjust and, you know, who ever wants to get lost in the city? What program are you in? Why do you love doing that? I am about to start my fourth year of Integrated Media. I am so happy and absolutely love what I do because I keep learning new things. We are in the age of technology, and nothing fascinates me more. I am always excited to learn how to use new technologies and software, and to be able to create art out of them is all the more fun. I also get to practise and improve on my main focus: production and post-production, and how to work professionally on set. Integrated Media allows you to grow as an artist by exploring a broad range of courses, and you can change direction at any time. Where’s the best place in Toronto to get food that tastes like home? I’ve got to say, there is nothing that can ever come close to how good the food is back home. But I will say that the closest thing to good Middle Eastern food in Toronto is at the Paramount. I would recommend the tabliyeh saj chicken shawarma (they make the best garlic sauce) or, if you are vegetarian, try the fatteh bi laban. As for Egyptian food specifically, I have yet to hunt that down, and Bahraini food is definitely not popular outside of the country. If you can get your hands on karak tea (Bahraini) or koshary (Egyptian), you should definitely try them. Illustration Professor Gary Taxali has been featured on the American Illustration/American Photography website. Read more about his life, workspace, creative process, challenges and advice for students on his AI-AP's Illustrator Profile. Walking around ComiCon is like stepping foot into every fantastical universe imaginable at the same time. They come alive through cosplay, where fans dress up as their favourite characters. Some people even create their cosplays from scratch. The creation of these costumes are an art in itself, taking hours of creativity and craft to bring fiction to life. I headed to the Metro Toronto Convention Centre to check out some of these cosplayers. As someone who regularly goes to nerd conventions, this year’s ComiCon had some of the best costumes I’ve seen yet. And one thing’s for sure - there’s something so satisfying about watching Batman get a hot dog. Ana Serrano, adjunct professor in OCAD U’s Digital Futures graduate program, has won the Digital Media Trailblazing Award at the 2016 Canadian Screen Awards. She is also the Chief Digital Officer of the Canadian Film Centre and Founder of CFC Media Lab, the world-renowned and award-winning institute for interactive storytelling created in 1997. Congratulations on your Digital Media Trailblazing Award at the Canadian Screen Awards! How does it feel to be recognized like this? It feels great and a little bit overwhelming. I feel quite honoured. 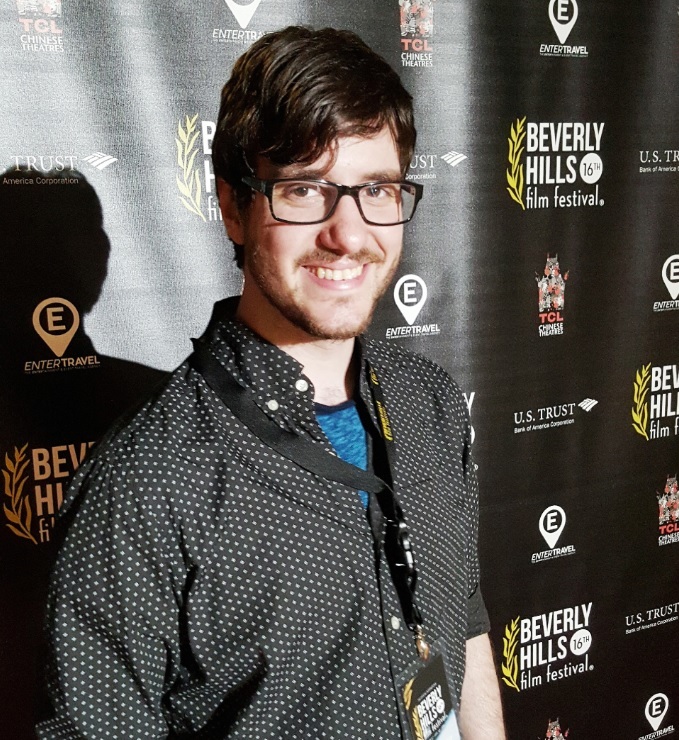 As Chief Digital Officer of the Canadian Film Centre and founder of the CFC Media Lab, what are the biggest changes you’ve witnessed in the past almost-20 years in the Canadian digital media scene? The biggest change has to do with the adaptability, nimbleness and quick uptake of audiences. I didn’t expect the changes we’ve seen to be so constant. I’ve also noticed the slowness of the rest of the industry to keep pace in relation to how quickly audiences have adopted to new digital media. The third thing that I’m just starting to notice with each new tech platform and perceived tech leapfrog is that there’s an initial stage when we think we’ve created something new, such as virtual reality. We think we don’t have to look back. It’s true to a certain extent but there’s so much that’s happened in the past that informed it and we forget. The CFC Media Lab is a partner with OCAD U’s Digital Futures program — why do you think this is an important partnership? The CFC Media Lab always started with a mandate about talent — how do we help support and incubate the next generation of storytellers using whatever platform of the future. So, it seemed totally a no-brainer that as universities kept pace with changes in digital media that we’d partner with a university that can grant degrees. Tell us about your IDEABOOST accelerator. IDEABOOST is a digital entertainment accelerator. As talent, industry and audiences grow, the next phase is working with companies. 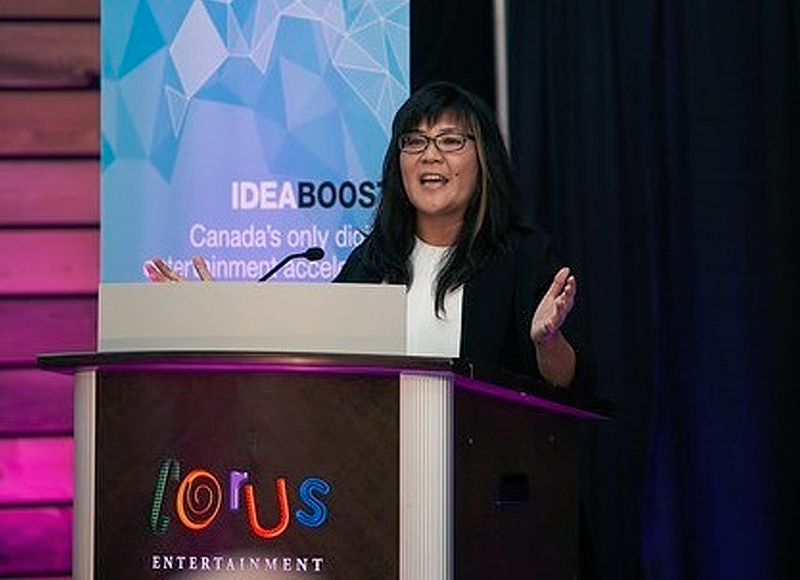 IDEABOOST is focused on investment seeding and support for tech-based entertainment companies that are changing the face of entertainment in Canada. What led you to working in digital media and why do you still love it? I’ve always been interested in humanities and focused on storytelling. My first digital touchpoint was running a fiction and poetry magazine at McGill University. 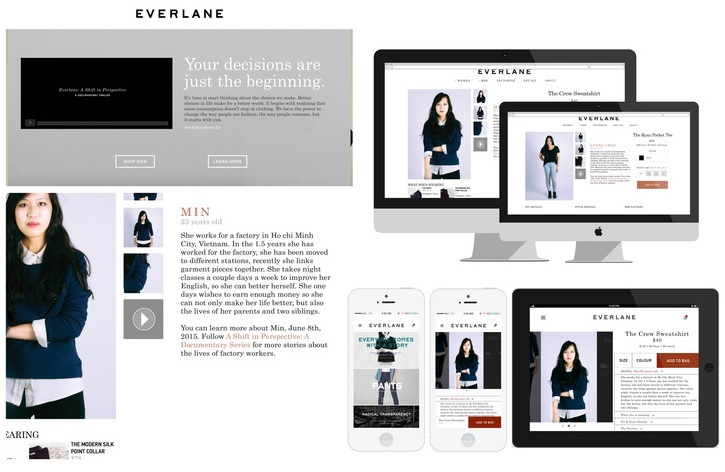 I started publishing the magazine digitally and I started to love the digital medium. I was later hired by Don Tapscott, with whomI learned a lot about the impact of the new medium. I love digital media because it’s always new. I’m enamoured with taking risks, being first, doing something no one else has done, supporting underdogs and seeing difficult ideas come to life. Digital media is always changing and reinventing itself and I enjoy the complexity of it. What do advertising creative directors look for when hiring new graduates? Here are some answers to questions that all new advertising creatives have. What is the top quality you look for in junior creatives? What do you look for in books (portfolios)? “In a really good book, the work would actually solve the client’s problem. So many students will say ‘well, I’m just a student, so I can just show how creative I am.’ The creativity without solving the problem is worth nothing. I think there was a time when people let student books off easier. Now we want someone who is already there and in this business to solve problems. If it is not evident they solved a real problem, then I’m only so impressed by something that made me smile or laugh. What is a good way to get your foot in the door? The National Magazine Awards Foundation has just published an interview with Hudson Christie, 2015’s Best New Illustrator or Photographer winner. Hudson graduated OCADU’s Illustration program in 2014. Be sure to follow the related links to two other OCADU grads (2009): Selena Wong (two-time NMA-winning illustrator) and Gracia Lam (two time NMA winner for Spot Illustration). We caught up with photographer Tom Szczerbowski to talk about the biggest photo in sports and his tips for young photographers. How did you feel when you got the shot? The home run was obviously a big moment, but nobody could know that it would be the turning point of the game. In big games and key situations, reaction photos can be far bigger than photos of the swing itself and, in this case, Bautista made the moment more memorable by his cathartic reaction. He is a very emotional player and I’ve seen enough of his home runs over the years to know that I better be prepared for anything in terms of how he reacts in the immediate wake of hitting the ball. How do you stay focused when the stadium is rocking? That’s not so hard to do because a deciding, do-or-die game demands your full, undivided attention. You have to be plugged into what’s going on or and not be distracted. You have taken some amazing photographs - what makes a good sports photo? How does this one stack up for you? Thanks! I’ve also missed my share. That said, try to always anticipate a play, how it’s likely to unfold and always know if there’s a potential for your view being blocked. 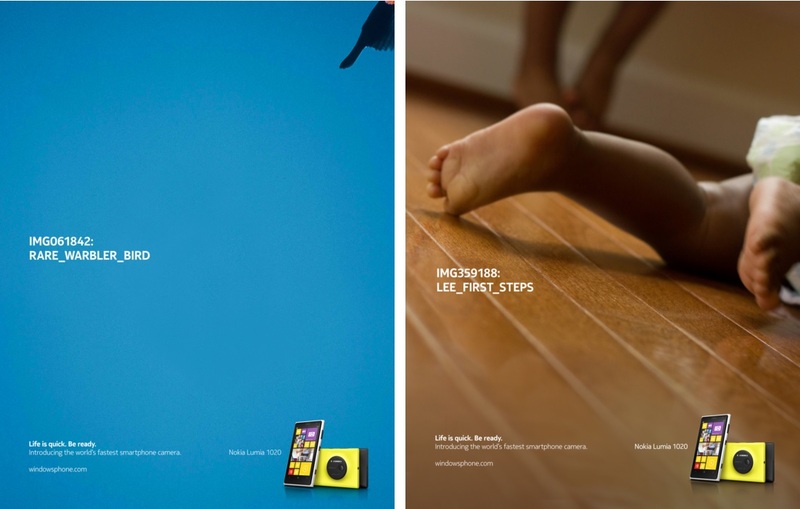 A clean background or the right expression on a player can make for superb images. There is no secret sauce, but always be prepared and try to be in the right position when the play happens. Test your exposure, make sure your focus point is responsive, keep your composition straight, shoot tight, shoot through the play, etc. It also helps to draw on past experiences, especially when you might have shot a similar play before. I wrote about this once on my blog. What's the key to your success? How would a young photographer get good at what you do? Commit yourself fully to something because half-measures will not get you there. Be relentless. Be tenacious. Hustle. When you’re starting, don’t take 'no' for an answer from some of the entrenched interests, some of whom aren’t necessarily happy to see you competing with them. Go at it whole hog. Invest in quality gear from the start. Buying top-tier gear can pose budgetary challenges but the last thing you want is to miss the big moment because the camera let you down. Human error can and will happen periodically. The biggest thing is getting out there and shooting. In other words, I place a higher value on honing my craft than reading about esoteric theory or concepts of photography. The bottom line is you can’t be a good photographer if you don’t shoot a lot. At first, you should find any games or events — no matter how remote or meaningless — to cover for someone with the goal of putting together a quality portfolio. From kids’ hockey leagues to weddings or local awards shows, find something that a prospective client will want covered and pay you to cover.